The final WiiWare update of the year doesn't bring anything truly new to the table - Both new WiiWare games today have already been released in Europe. Still, who cares when both of them are good games? The wait is finally over - After exactly 4 months, Maboshi's Arcade (Known in Europe as MaBoShi: The Three Shape Arcade) is finally released in the US! In this strange yet wonderful game, you can..
...with Micky G. Albert the president of Mindware Corp. in Japan about his WiiWare debut with MaBoShi: The Three Shape Arcade. So detailed were his answers that we thought it best to run the interview in two parts! 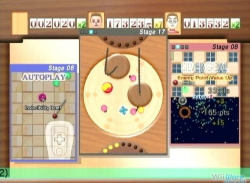 Here is the second part of our exclusive WiiWare World interview. We hope you.. 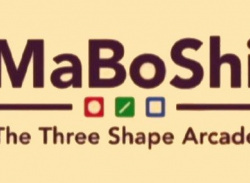 When we first saw some screenshots of MaBoShi: The Three Shape Arcade, we didn’t know what to expect. 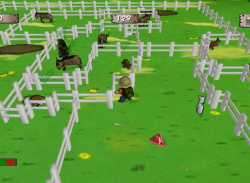 Europe finally gets chance to sample the ‘delights’ of Konami's Critter Round-Up thanks to this week’s WiiWare update. Although it’s nice to see EU gamers catching up with their North American counterparts (Critter Round-Up came out in the US in May) it’s a shame that the actual game is so uninspiring. We didn’t think much to it – feel free to check out our review. It costs 1000 Wii..
A strange new OFLC rating popped up today - Maboshi: The Three Shape Arcade was no title we had ever heard of before! 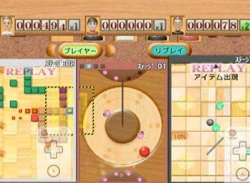 However, doing some searching, we came to the conclusion that this had to be the WiiWare title Katachi no Game: Maru Bou Shikaku (Game of Shapes: Ball, Stick, Square), which was announced for Japan a few months ago but has not been released so far. We're still not quite sure what..